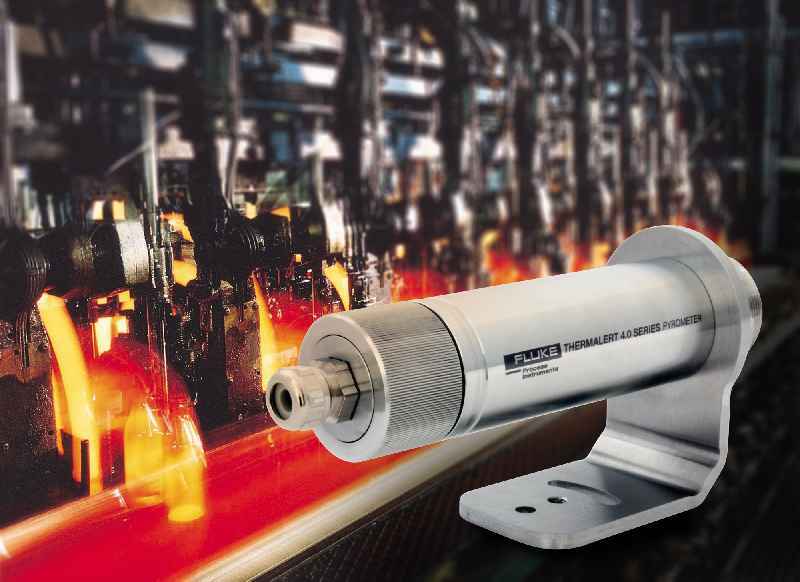 Thermalert 4.0 spot pyrometers from Fluke Process Instruments enable precise monitoring of critical glass manufacturing processes such as annealing of glass bottles and containers. The noncontact infrared sensors measure product as well as belt temperatures. Thermalert 4.0 spot pyrometers from Fluke Process Instruments enable precise monitoring of critical glass manufacturing processes such as annealing of glass bottles and containers. The noncontact infrared sensors measure product as well as belt temperatures. That way, operators can ensure that the lehr is set correctly for products with different glass thicknesses and sizes, and that the transportation belt is heated correctly. The latter is especially important for glass containers with a thick bottom, to prevent uneven cooling and breakage. Continuous monitoring helps operators improve quality and uniformity and reduce reject rates. It also supports troubleshooting by detecting faulty burners under the transportation belt. The annealing process is designed to remove residual stress in formed containers. Obtaining the correct temperature and cooling curve is essential to achieve the required strength in the finished product. Temperature monitoring in this process also serves to confirm correct cure of decorative print or coatings. 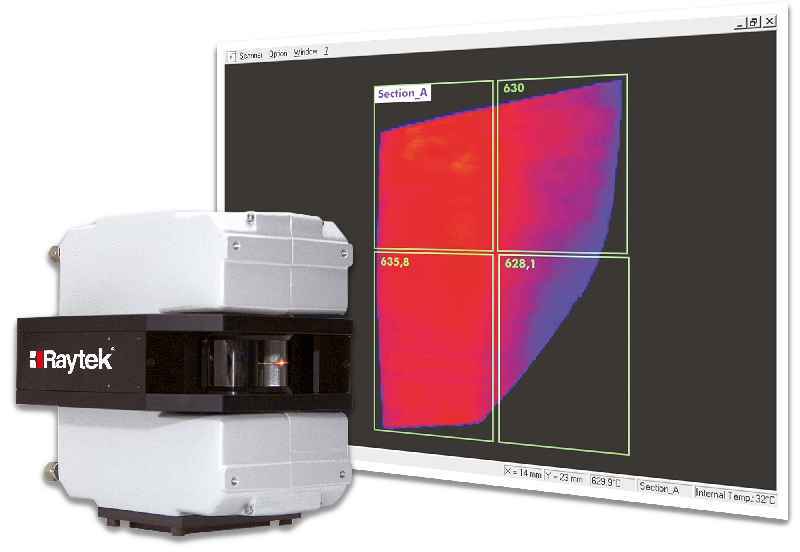 The high-accuracy Thermalert 4.0 spot pyrometer series comprises various wavelength models for different materials, including two specialized glass models. A peak hold function enables monitoring of moving glass containers. The series covers measured temperatures between -40 °C and 2250 °C. 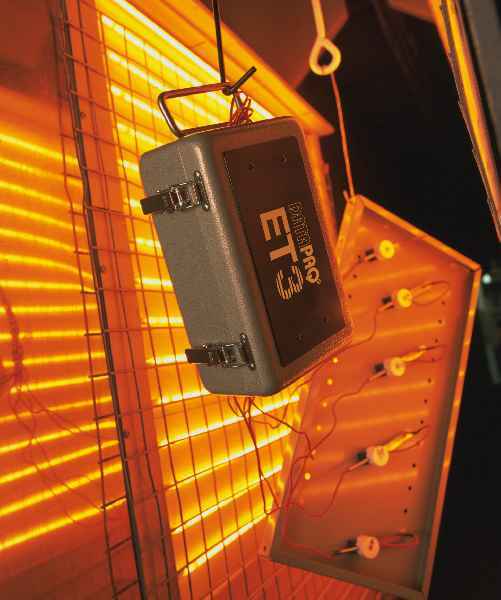 The infrared thermometers have the largest ambient temperature range in their class: -20 °C to 85 °C. Therefore, many measuring points can be set up without cooling accessories, saving costs. Moreover, the sensors can be read out, configured, calibrated, and fitted with firmware updates remotely via the internet. This minimizes service costs per measuring point. Fluke Process Instruments industry specialists will be happy to advise customers on selecting and setting up the ideal measuring solution for their plant. 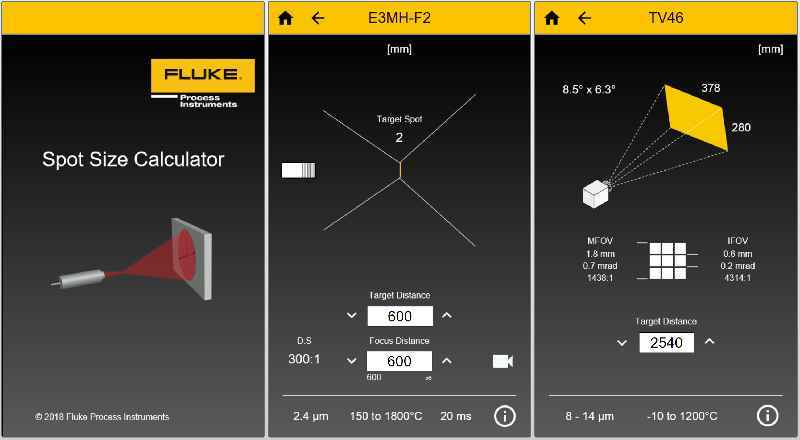 Fluke Process Instruments has released the new Spot Size Calculator app for Android and iOS mobile devices, for desktop computers running Windows 10, and as an online app for use with all common internet browsers. It integrates all Fluke Process Instruments infrared spot sensors and thermal imagers as well as legacy Raytek and Ircon devices. Fluke Process Instruments has released the new Spot Size Calculator app for Android and iOS mobile devices, for desktop computers running Windows 10, and as an online app for use with all common internet browsers. It integrates all Fluke Process Instruments infrared spot sensors and thermal imagers as well as legacy Raytek and Ircon devices. Users simply select a product and enter the mounting distance. The app then calculates the spot diameter or camera field of view. This will help customers find the right spot pyrometer for their installation environment – the measured object must be larger than the spot size to prevent measuring errors. In addition, the app will help customers optimally set up thermal cameras so they focus all areas of interest. 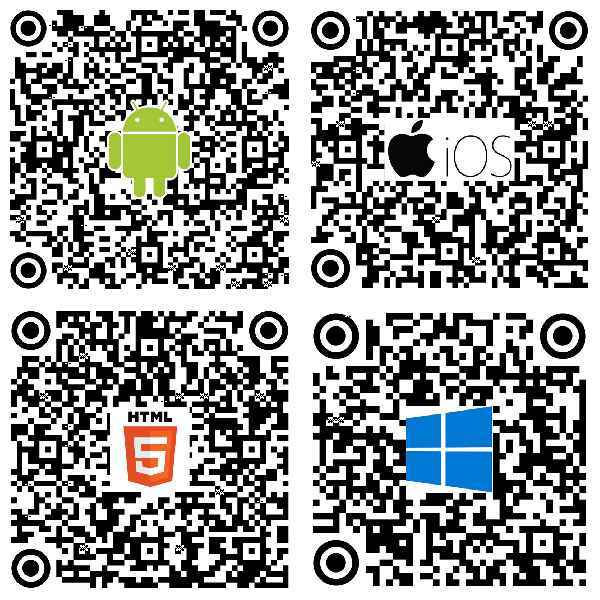 The app supports English, German, French, Spanish, and Chinese. 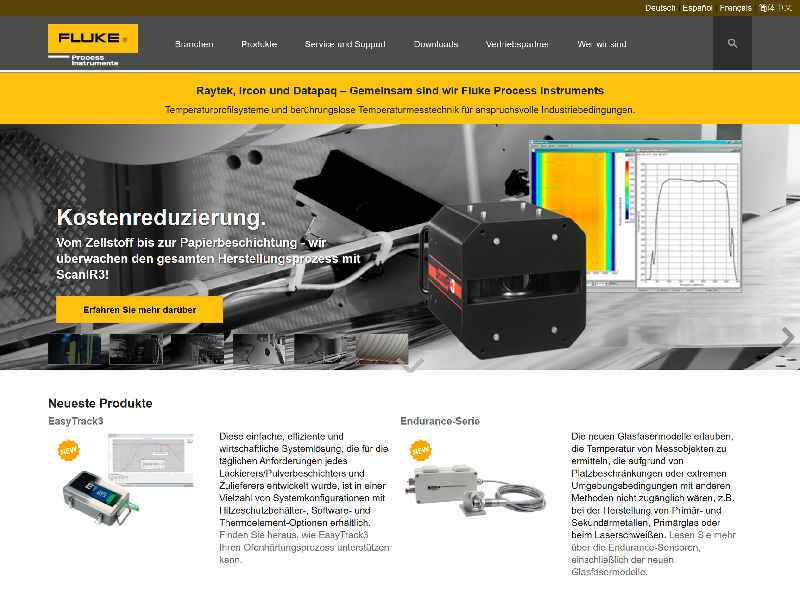 At the IZB automotive industry suppliers fair in Wolfsburg, Germany, Fluke Process Instruments will present a brand-new thermal camera in addition to well-established thermal imaging solutions. These devices facilitate troubleshooting, QA, and process optimization in various applications. Compiling thermal images of objects that move at extremely slow speeds is a challenge in its own right. Fluke Process Instruments has solved this measuring task for a chemical waste incineration plant. Hazardous wastes are combusted in a rotary kiln that turns at 4 to 6 revolutions per hour. Compiling thermal images of objects that move at extremely slow speeds is a challenge in its own right. Fluke Process Instruments has solved this measuring task for a chemical waste incineration plant. Hazardous wastes are combusted in a rotary kiln that turns at 4 to 6 revolutions per hour. Over time, the refractory brick protecting the kiln wall degrades and has to be replaced. This used to be done in regular intervals with a big safety margin to prevent serious damage to the incinerator or even leakage of hazardous materials. Fluke Process Instruments supplied a Raytek CS210 infrared line-scanning system that is able to synchronize thermal images at speeds as low as 2 revolutions per hour. It detects temperature deviations across the entire kiln shell and provides the plant operator with information about the state of the incinerator. The kiln shell temperature ranges between 100 °C and 500 °C. Hotspots point to refractory loss or wear. The installation of the monitoring system has resulted in significant savings due to an extended operational life of the refractory and reduced downtimes. Fluke Process Instruments presents a new line of thermal imagers with integrated visible-light cameras: ThermoView TV40. 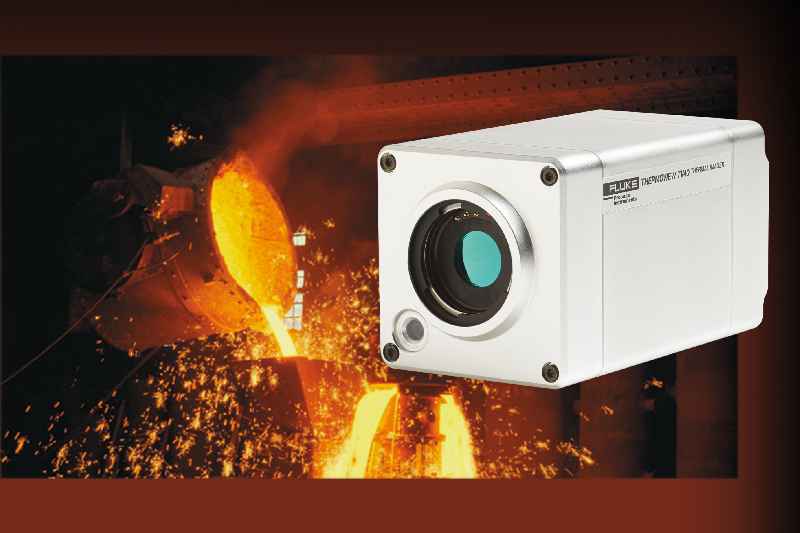 The fixed-installation imagers enable 24/7 temperature monitoring in a -10 °C to 1200 °C range. Fluke Process Instruments presents a new line of thermal imagers with integrated visible-light cameras: ThermoView TV40. 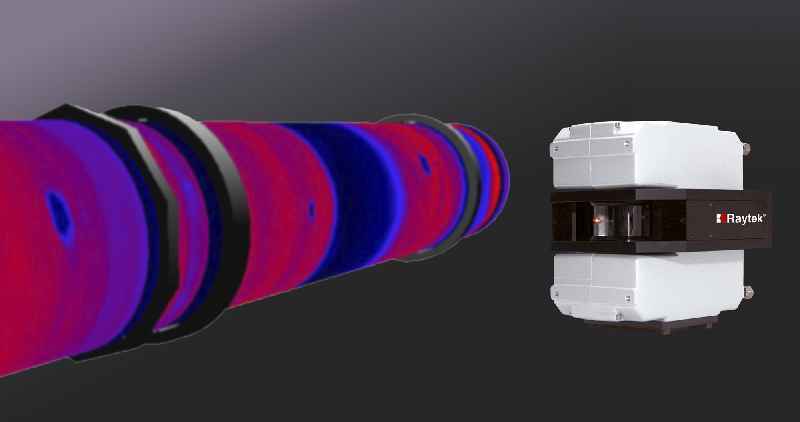 The fixed-installation imagers enable 24/7 temperature monitoring in a -10 °C to 1200 °C range. Developed to meet today’s demanding industrial automation requirements, they support GigE streaming of images, automatic alarms, analysis and archiving. Images from multiple devices can be combined for display and analysis. Various field-interchangeable lens options are available, including wide-angle lenses. The imagers can be used to monitor applications such as press hardening, brake testing, lime kiln shells, metal spin forming, waste incinerators, and boilers. They capture images at 9 or 60 frames/sec. Currently, the series comprises two models with a 320 x 240 pixel or 640 x 480 pixel resolution, with more models to follow. The cameras can be configured and controlled via the internet. They feature a remote motorized focus. Thermal and visible-light images can be overlayed for easy camera alignment. Users can set independent emissivity values and alarm conditions for various areas of interest. Featuring a built-in lens, the standard ThermoView TV40 thermal imagers have no external moving parts. Housed in an IP67-rated aluminum casing, they tolerate ambient temperatures up to 50 °C without and up to 200 °C with an additional cooling enclosure. Fluke Process Instruments has launched the Thermalert 4.0 spot pyrometer series for automatic noncontact temperature monitoring between -40 °C and 2,250 °C. The series currently comprises 13 models with varied spectral responses, including dedicated sensors for metals, glass, and plastics products. 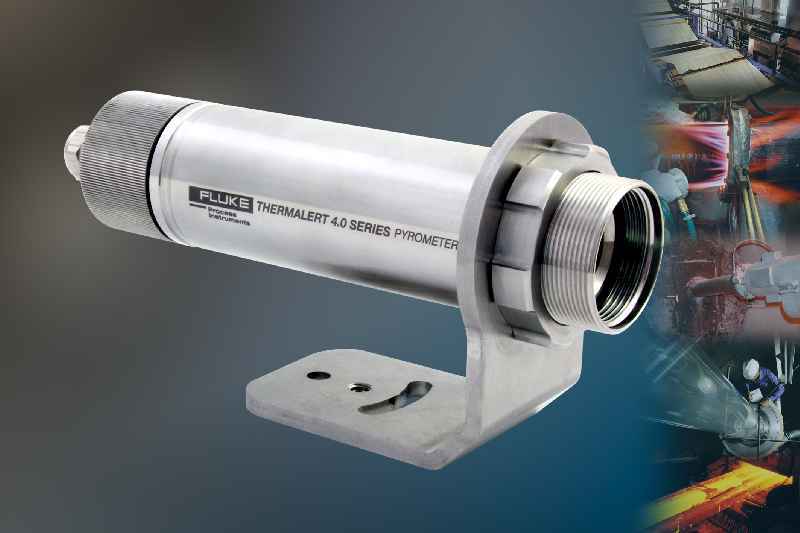 Fluke Process Instruments has launched the Thermalert 4.0 spot pyrometer series for automatic noncontact temperature monitoring between -40 °C and 2,250 °C. The series currently comprises 13 models with varied spectral responses, including dedicated sensors for metals, glass, and plastics products. A large choice of optics is available for long and short focal distances. Due to the outstanding ambient temperature range of -20 °C to 85 °C, more measuring points can be set up without cooling accessories and without installing cooling media supplies. The rugged IP65 infrared thermometers exhibit best-in-class repeatabilities, response times, and accuracies. The system software supports remote configuration, monitoring, field calibration, and firmware updates. These functions can significantly lower service costs and time spent on setup and troubleshooting. Plug & play operation further facilitates installation and maintenance. The sensors feature galvanically isolated analog and RS485 interfaces. Up to 32 devices can be connected within an RS485 network. The manufacturer will keep on adding fieldbus and feature options in future. With the new Thermalert 4.0 series, Fluke Process Instruments took care to make retrofits as easy as possible. The new sensors are interchangeable with Endurance, Raytek Thermalert TX, and Raytek XR pyrometers. 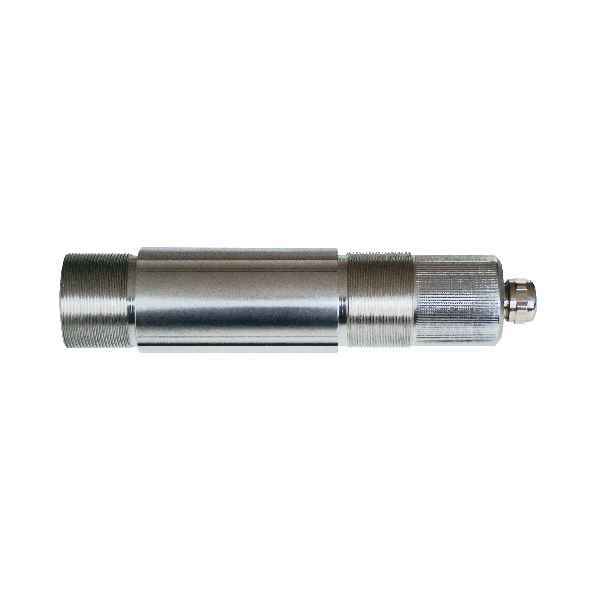 Adapters are available for use with Ircon Modline 4 and Raytek MM fixtures. Customers can therefore flexibly switch to another model at any time, if their measuring task has changed or to fully benefit from features like improved connectivity. Fluke Process Instruments offers a dedicated, robust solution for monitoring Claus reactors during the recovery of elemental sulfur from process streams. 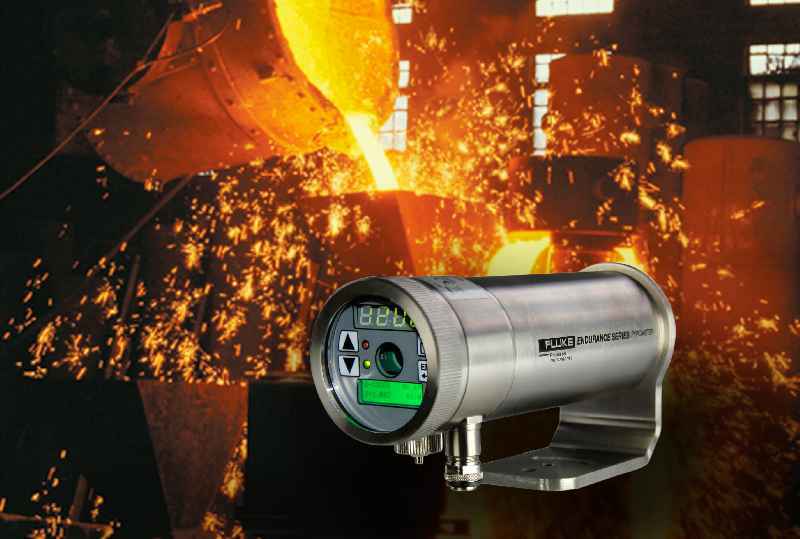 In this setup, ATEX-certified infrared thermometers measure temperatures inside the furnace with short response times. Fluke Process Instruments offers a dedicated, robust solution for monitoring Claus reactors during the recovery of elemental sulfur from process streams. In this setup, ATEX-certified infrared thermometers measure temperatures inside the furnace with short response times. Temperature control of the sulfur recovery process is vital since temperature variations can upset the chemical reaction, causing damage to the fire-clay refractory or even failure of the reactor. Conventionally, thermocouples are used for this application. Such probes must be exchanged at very short intervals, because of the highly corrosive process gases, resulting in significant maintenance costs and downtime. To overcome this problem, thermocouples can be embedded in the refractory or fully shielded by an enclosure. However, this leads to very long response times and inaccurate temperature readings. 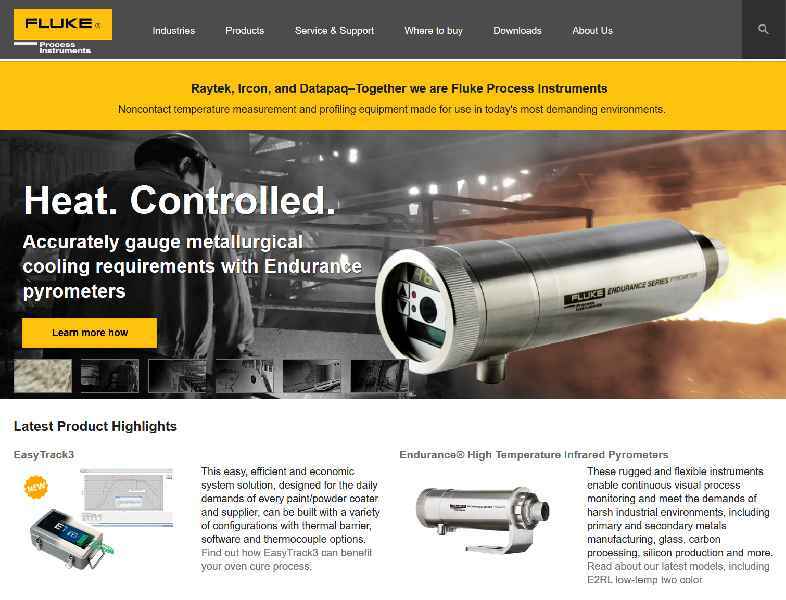 The tried-and-tested Fluke Process Instruments solution removes the thermocouple at 500 °C, before it can be damaged, and inserts a Raytek Thermalert TX pyrometer in the same opening. To enable this exchange on the fly, the pyrometers come with a hinged housing; both sensor and housing are made of stainless steel. The infrared sensors have a 500 to 2,000 °C measurement range. 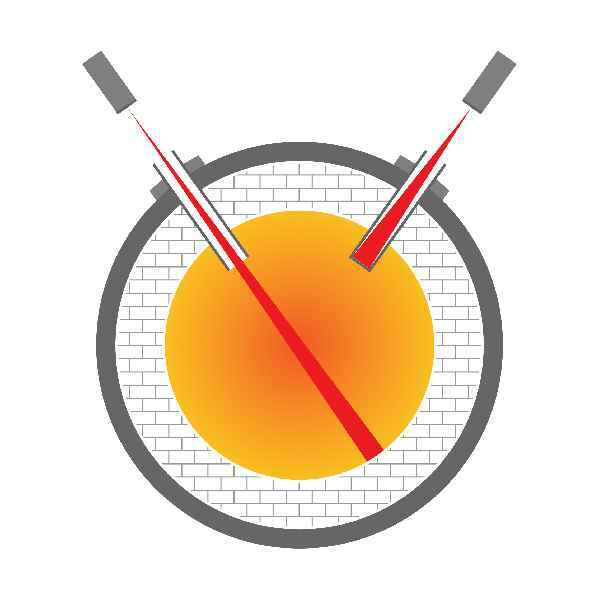 Equipped with an open or closed end target tube, they measure the refractory brick temperature at the near or far end. Due to the precise temperature data, the refractory lifespan can be extended and operators can optimize their process for fuel savings and higher throughput. Fluke Process Instruments will present infrared thermometers and thermal imagers for the process industry at the 2018 Achema trade show in Frankfurt, Germany. Intrinsically safe temperature sensors are available for use in hazardous environments (gas zones 1, 2, dust zones 21, 22). 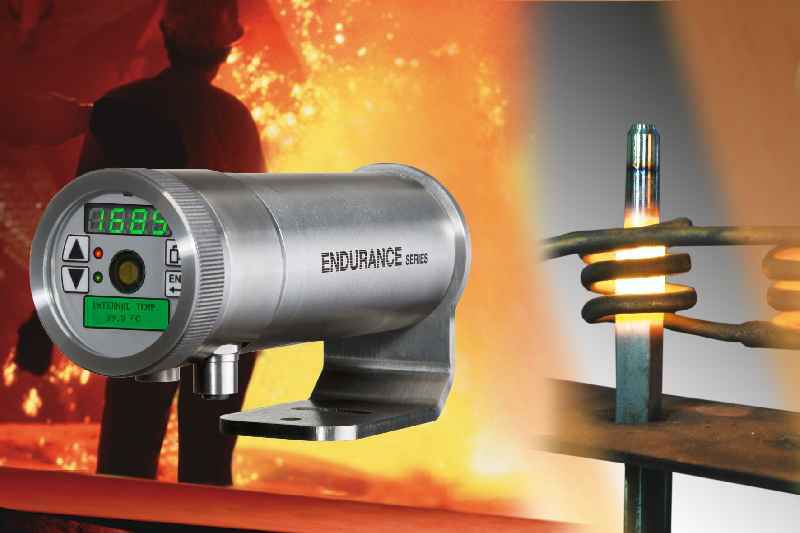 Endurance series pyrometers from temperature measurement expert Fluke Process Instruments provide high reliability and usability in demanding primary and secondary metals production applications. The rugged infrared thermometers take non-contact measurements and are used to control process stability, product quality, and fuel efficiency. Endurance series pyrometers from temperature measurement expert Fluke Process Instruments provide high reliability and usability in demanding primary and secondary metals production applications. The rugged infrared thermometers take non-contact measurements and are used to control process stability, product quality, and fuel efficiency. Featuring a 1 µm, 1.6 µm, or 2.4 µm spectral response, the sensors achieve significantly higher accuracies than longer-wavelength sensors. The Endurance series covers measured temperatures from 50 °C to 3,200 °C with just a few models. Therefore, it takes fewer units to monitor entire processes. Models with one-color and two-color (ratio pyrometer) operating modes are available, the latter for measured temperatures as low as 250 °C. Ratio pyrometers ensure correct readings even in dust-saturated or steamed-up surroundings. The series is designed for comfortable operation. A backlit rear-panel with tactile feedback allows for easy, intuitive on-site configuration and read-out. Furthermore, the sensors can be remotely operated. Profinet, RS-485, and Industrial Ethernet interfaces are available. What is more, Fluke Process Instruments has integrated a range of sighting options and offers a high-resolution on-board video camera for remote monitoring of the application and sensor alignment via Industrial Ethernet. Depending on visibility in the particular application, laser or LED sighting can be used to mark the position and size of the measurement spot. 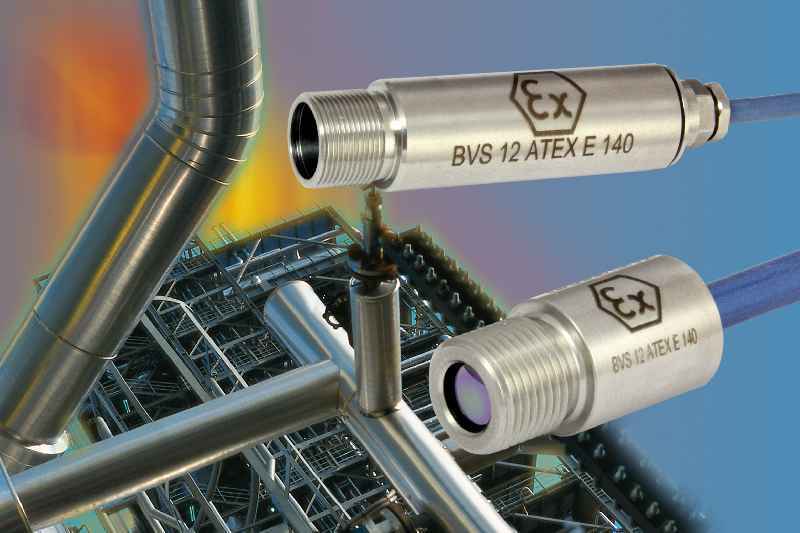 The sensors are enabled for the harshest industrial environments. They feature galvanically isolated I/Os and a stainless steel IP65 housing and withstand ambient temperatures up to 315 °C using cooling accessories. The manufacturer provides a best-in-class four-year warranty. Fluke Process Instruments expands the Endurance pyrometer series by models with a remote sensing head that tolerates ambient temperatures up to 315 °C. This design is ideal for applications with tight space constraints and for mounting near a heat source and in harsh environments. Fluke Process Instruments expands the Endurance pyrometer series by models with a remote sensing head that tolerates ambient temperatures up to 315 °C. This design is ideal for applications with tight space constraints and for mounting near a heat source and in harsh environments. The sensing heads also offer improved immunity to electromagnetic interference. They are connected to a rugged IP65 electronics box via fiber-optic cable over a distance of up to 22 m. Various medium and high-temperature models cover a 250 °C to 3,200 °C measurement range. Monochrome and ratio pyrometer version are available with a 1 µm or 1.6 µm spectral response. The ratio infrared thermometers enable accurate measurements of partially obscured objects, in dirty or steam-filled atmospheres, and of small or moving objects that do not completely take up the measurement spot, notably wires, rods, or streams of molten glass or metal. Major application fields include primary and secondary metals manufacturing, primary glass manufacturing, and laser welding. 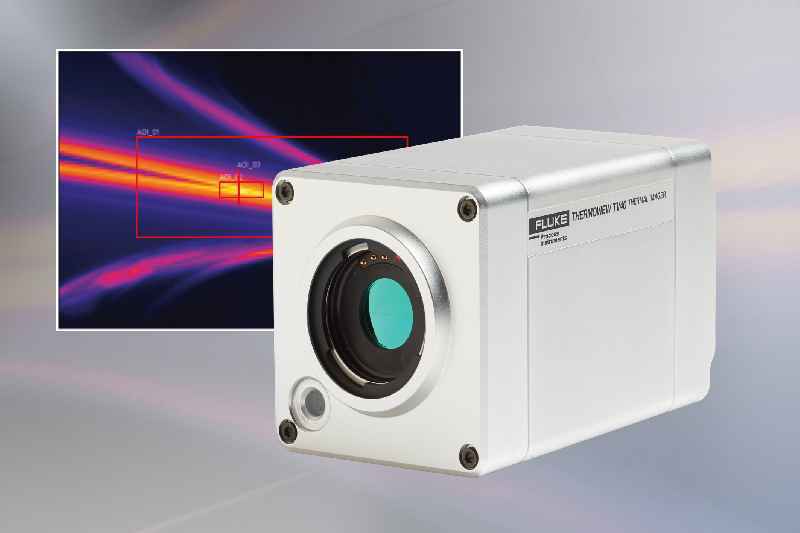 Featuring a 0.1 °C measurement resolution, the Endurance pyrometers also fulfill the requirements of the semiconductor industry. Various lens options are available for different mounting distances. The sensors operate with either Power over Ethernet (PoE) or 24 VDC power supply. They feature isolated analog I/Os as well as LAN/Ethernet, Profinet, and RS-485 interfaces. The PC-based Endurance setup and monitoring software simplifies configuration and deployment. A built-in web server enables archiving of historical data for traceability, process troubleshooting, and remote viewing. All Endurance series pyrometers are offered with a best-in-class four-year warranty. Fluke Process Instruments has added four new single-color and two-color pyrometers to the Endurance series. The series now covers measured temperatures from 50 °C to 3,200 °C. The manufacturer has enhanced the maximum optical resolution from 150:1 to 300:1, enabling measuring of even smaller targets from a distance. 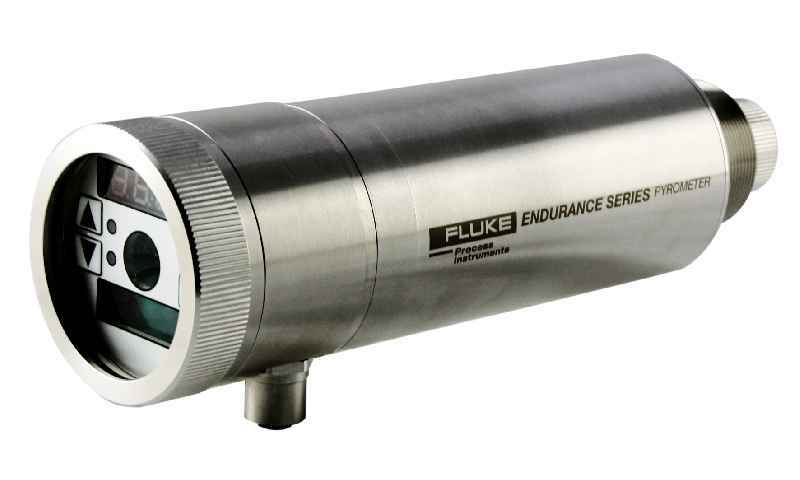 Fluke Process Instruments has added four new single-color and two-color pyrometers to the Endurance series. The series now covers measured temperatures from 50 °C to 3,200 °C. The manufacturer has enhanced the maximum optical resolution from 150:1 to 300:1, enabling measuring of even smaller targets from a distance. A new low-temp ratio pyrometer for demanding applications measures temperatures from 250 °C. 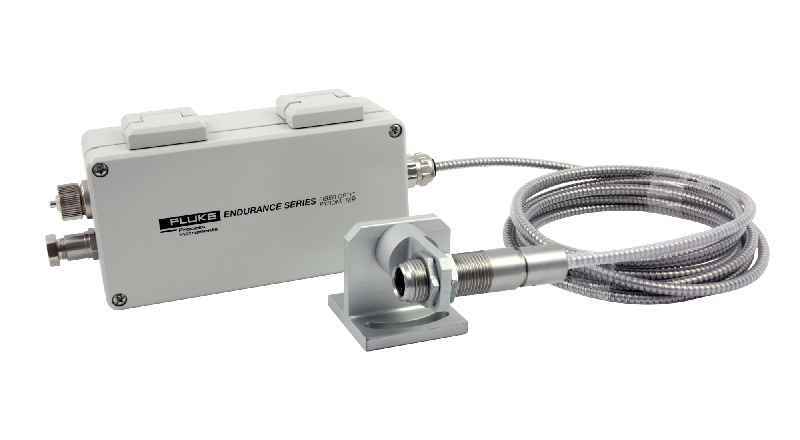 The sensors feature galvanically isolated inputs/outputs and a stainless steel IP65 housing. They withstand ambient temperatures up to 65 °C or up to 315 °C using cooling accessories. Application areas include primary and secondary metals manufacturing, carbon processing, silicon production, and now also foundries and welding, as well as rubber and thick plastics. The Endurance series offers a versatile range of models with wide temperature ranges and different wavelengths for precise process data that will help manufacturers reduce reject rates, improve product quality and uniformity, maximize throughput, and minimize energy costs. The sensors operate with Power over Ethernet or DC power and interface to Ethernet, ProfiNet, and RS-485. A backlit rear-panel with tactile feedback allows for easy, intuitive navigation. The PC-based Endurance software simplifies configuration and deployment, and a built-in web server enables archiving of historical data for traceability, process troubleshooting and remote viewing. Various lens, sighting, and focus options are available, for example, an on-board camera for video sighting via Ethernet. A dirty lens alarm helps avoid unneeded periodic lens cleaning checks. All Endurance series pyrometers are offered with a best-in-class four-year warranty.